Located in the heart of the Las Vegas Strip, Caesars Palace Las Vegas Hotel and Casino is the self-proclaimed “best-known casino resort in the world.” Known for luxury, entertainment, and outstanding service, Caesars Palace is much more than just another Las Vegas hotel. 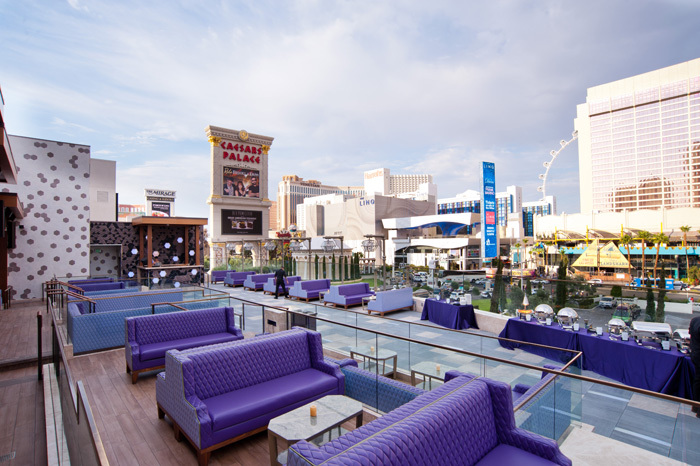 Known as the “entertainment capital” of the world, Las Vegas is the perfect destination for unique events that attendees will remember for years to come. 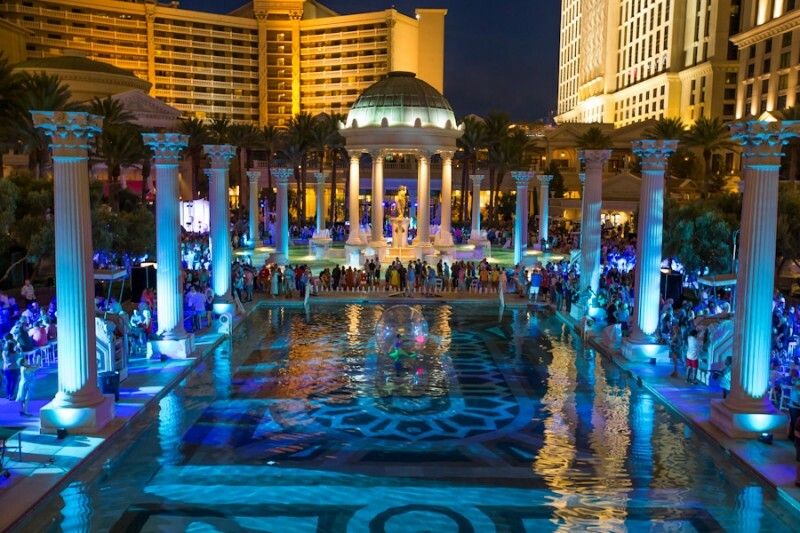 Our team of knowledgeable event pros have years of experience producing one-of-a-kind corporate programs at several of the different event spaces Caesar’s Palace has to offer, including: OMNIA nightclub and the Garden of the Gods Pool. With over 300,000 square feet of meeting and event space, Caesars Palace Las Vegas is one of our favorite Las Vegas event venues. If you’re looking to host a corporate event in Las Vegas, On The Scene will work as your behind the scenes partners, bringing our expertise and experience to assist you in choosing the right event space for your specific event. We handle every aspect of event production so you don’t have to – from logistics and planning to development and implementation. If you want your company’s event to have an elegant and grand feel, Caesars Palace Las Vegas is the ideal event space. From multi-day corporate programs to company-wide dinners, Caesars Palace can accommodate it all. Offering 37 different meeting and event spaces, state-of-the-art meeting facilities, and a full-service Business Center, the Caesars Palace Conference Center has everything you need in a corporate event venue. Octavius Ballroom and Forum Ballrooms (up to 5,555 guests) – Each of these ballrooms are 51,000 square feet and can be divided into 25 different rooms for breakout sessions. Augustus Ballroom (up to 3,630 guests) – With 36,260 square feet of event space, this ballroom is perfect for grand events that need an elegant touch. It can be divided into 6 different rooms and is ideal for events that require separate sessions. Palace Ballroom (up to 3,200 guests) – At 28,592 square feet, the Palace Ballroom includes a pre-function area and direct access to freight elevators, allowing for easy set up. Milano Ballroom (up to 1,690 guests) – Offering 16,874 square feet of meeting space, the Milano Ballroom can be divided into 8 different meeting rooms with a variety of setup possibilities. Meeting Rooms – The Caesars Palace Conference Center includes 25 individual meeting rooms that are perfect for smaller meetings. They range from 286 to 988 square feet. Boardrooms – Caesars Palace offers 6 different boardrooms that can accommodate up to 16 guests and include video-conferencing capabilities, projections screens, and easily accessible data ports. The Colosseum at Caesars Palace – Featuring one of the largest LED screens in the world and a stage that covers half an acre, this 4,100 seat arena is perfect for larger scale events, such as conferences or company wide programs. Garden of the Gods Pool Oasis – Offering 4.5 acres of outdoor event space and gorgeous Roman architecture, the Garden of the Gods Pool Oasis is the ideal setting for one-of-a-kind outdoor events. It can accommodate up to 4,000 guests and includes 7 different pools and luxury cabanas. An award-winning Las Vegas event management company, On The Scene is committed to producing outstanding corporate events that attendees will never forget. We have years of experience working with a wide variety of companies from a range of different industries. No matter the size, scope, or complexity of your event, the On The Scene team can handle it. Contact On The Scene today to discuss hosting your corporate event at Caesars Palace in Las Vegas.